[INQ. NO. 1410E06] Rotary DIP switch was first developed by Sungmun Electronics for the domestic market through innovative technology and research. 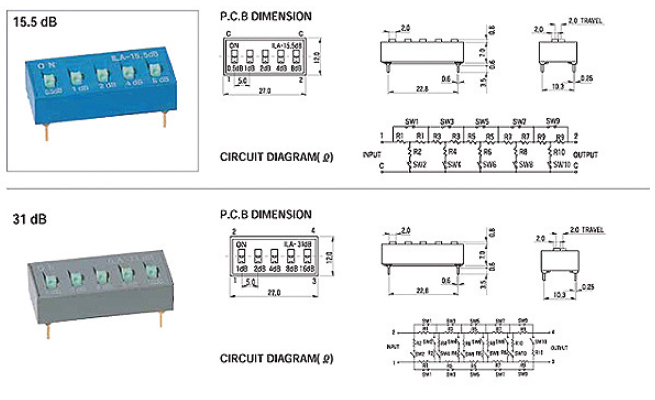 Among the rotary dip switches provided by the company are the S, F, and T series, and the SDR series are octagon type, and the TDR series are the round type. Rating is 42V, and 150 mA for switching, and 200 mA for non-switching. The lifespan of the rotary DIP switch is approximately 10,000 steps, and dust and water proof. The contact resistance is a maximum of 80 mΩ, and the insulation resistance is minimum of 100 MΩ.The operating force is maximum of 700 gf. 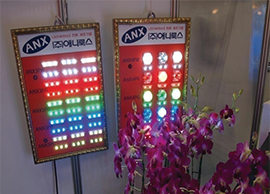 Sungmun Electronics was established in 1995, and is one of the leading manufacturers of LED modules and switches in Korea, and also acknowledged for its expertise and know-how internationally. Of special note, the rotary DIP switches were first developed by Sungmun Electronics, and supplied not only domestically, but also to over 40 companies worldwide, including Europe, the USA, Canada, and Asian countries. Through these efforts, the company acquired numerous certifications, including the ISO 9001 and ISO 14001 certifications. As a leading manufacturer of high-quality LED modules in Korea, NC LED has gained high market shares, a very good reputation, and credibility in the domestic market for years by offering its excellent products with a prompt customer service. Equipped with an automated production facility for its entire manufacturing process, the company has the largest LED production capacity with nearly zero defect rates. Since 2009, the company has been providing LED solutions to more than 25 countries including Europe, North America, Asia, and more. Attempting to satisfy customer demands, NC LED provides the highest quality products at competitive prices. Furthermore, LED modules of NC LED have been awarded the certification of ‘World-Class Product’ by the Ministry of Trade, Industry & Energy. In delivering customer needs and building competitive advantages, a diverse range of modules are being offered including constant-current, non-polar, resistant, and etcetera. Designed with inhouse technologies and accumulated know-how, the company delivers efficient LED solutions and superior results. 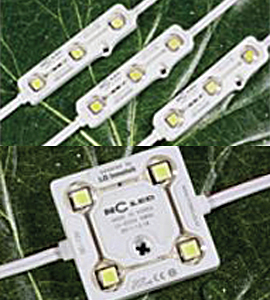 The more key specific features of LED modules include CE,&UL-certified, constant current drive “fully warranted stability” with high energy efficiency, constant luminosity & current flow, 3 chips SMSLED mounted, long life expectancy of 50,000 hours, efficient heat release through double-sided PCB design, reverse current protection, and freedom from any hazardous substances. The products of NC LED have been designed to be compact and energy efficient. In addition, the products have been optimized based on the company’s accumulated technologies including an IP68 rating. Filed Under: World Class Tagged With: high-quality LED module, LED Module, LED solutions, NC LED Co. Led. [INQ. NO. 1404E25] Established in 1995, Sungmun is a leading manufacturer of electric components especially the “Rotary DIP Switches” which was developed for the first time in Korea. Its quality is certified through “ISO/TS 16949” and the “ISO 14001” Due to its large buyer base of more than 100 in 40 countries located in Europe, the USA, Canada and Asia, it has a steady flow of orders. The rotary dip switch is capable of changing the on/off circuit through its dual inline package function. It represents a sole highend model with 80% of its production automated. Moreover, its pricing is also relatively low so that it appeals greatly to buyers worldwide as well as Korean customers. And with successful productions of these components, it has successfully substituted for imported products.